9 years in the making, but will it also endure the test of time for that long? Owlboy surely delivers a class of it's own, but also isn't without shortcomings. 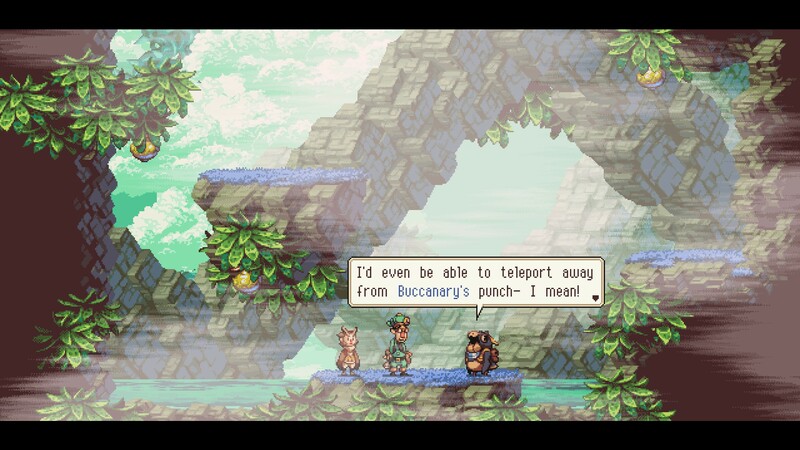 One thing needs to be said right off the bat: Owlboy hits the right tone. From the first minute the stellar presentation and uplifting soundtrack immediately transports you to a world of marvel and wonder. This game shows its qualities with a level of perfection that only years of polish can achieve: the music is perfectly paced to the images, the controls are tight, the graphical style is nothing but short of charming. The menu screen alone made me stop and listen for just a minute, quickly realizing that I was in for a treat. Both dialogue and characters are well-written and funny. There’s always something to laugh about in every scene. This is also further solidified by the diverse cast: both the mute hero Otus and his trusty sidekick Geddy are both goofballs with both lots of apparent flaws but also many relatable qualities. Being thrown into an adventure they can barely handle whilst almost no one else believes in their aptitude is main driver for any underdog-hero-movie. 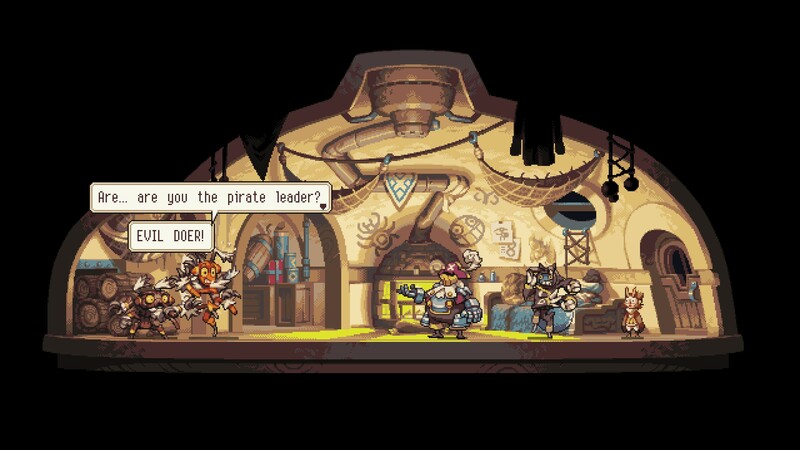 The main plot about pirates stealing mysterious owl relics keep the plot going, and as unique and charming characters introduced steadily, solid relationships and deeper motivations are uncovered throughout the game. So as a first summary we have all the ingredients of a truly great game: high-quality presentation, funny dialogue, huge world, solid gameplay. Listing all that makes Owlboy an absolute hit, right? Well…in theory Owlboy should, be a great game but….let’s start with the shortcomings, some of which are harder to nail in an otherwise so flawlessly presented game. While the aforementioned controls are tight, they also take some getting used to. The riddle mechanics which mainly consist of switch based puzzles are nothing special and not hard on top. The combat system is straightforward and easy enough to get used to, but enemy AI and general gunplay does not feel solid enough to make the whole endeavour feel satisfying. On the contrary: enemies are visually diverse, but feel bullet-spongy and identical in their behavior, rendering battles into a button spam instead of tactical decisions. This becomes apparent through the later stages of the game, where your arsenal gets much more diverse, but the enemy difficulty doesn’t keep up. There are secrets to explore, mainly relating to the Owl’s past. They count to the better rewards to find in the game. The few bosses are quickly overcome in the game as their patterns and mechanics are not complex either, sometimes even allowing you to exploit mechanics or brute-force your way through their rather small damage output. Throughout the game I maybe died 30 times in total, of which only 10 deaths really accounting to tougher enemies, so make of that what you will. On the positive side that makes Owlboy a really entry-friendly game which I can recommend even to younger audiences due to the overall very friendly tone of the action. Even when Otus gets hit by fire or lava the display of violence always stays on “Zelda” levels with even the occasional funny flat-faced against the wall moments to laugh at. Expressive characters and a clear design persist throughout the whole game and make Owlboy always “interesting” to watch. There are many funny moments to remember the game by. Just mentioning Zelda, Hyper Light Drifter or Ori and the Blind Forest as comparable games brings me to the downsides of Owlboy: The lack of difficulty on its own would be acceptable, however it also ties in closely with a real sense of progression which comes with the other aforementioned games. Owlboy’s levels are overall designed nicely, diverse and all with some unique mechanics, but they also feel highly constructed and “game-y” without a believable architecture or any other surprising elements to back them up. As your initial skills do not really progress much at all, the levels do not increase much in difficulty either. Secrets may be found, but not with keen eyes or a sense of clear telegraphing, but instead with a lot of trial and error in the form of flying against walls to see if they are permeable. Coins may be collected to increase your HP, but beyond that, finding them for completionist’s sake is not really tempting, as the low difficulty makes you breeze through the game anyway. On a very positive note there are some major well-designed secrets which even spread a sense of mystery, in rare cases even leading to further story elements. However those absolutely remain in the minority, and most of the time I stumbled across them by pure accident or trial-and error which is a clear indicator that collectables were not a priority. If you are expecting a “Metroid” in terms of upgrades you will be clearly disappointed. 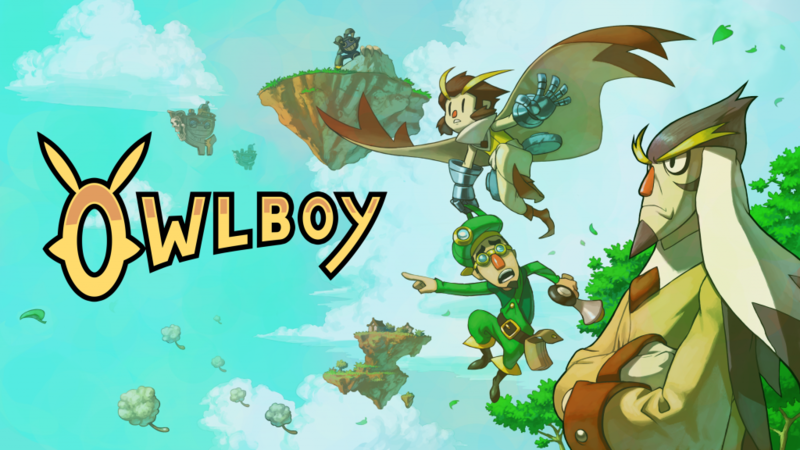 Many of the points above make it sound like Owlboy is in fact not such a good game after all – but saying that would be wrong. Yes, there are flaws, and some of them are quite apparent. However there are also many many qualities to this game which you can spot immediately. 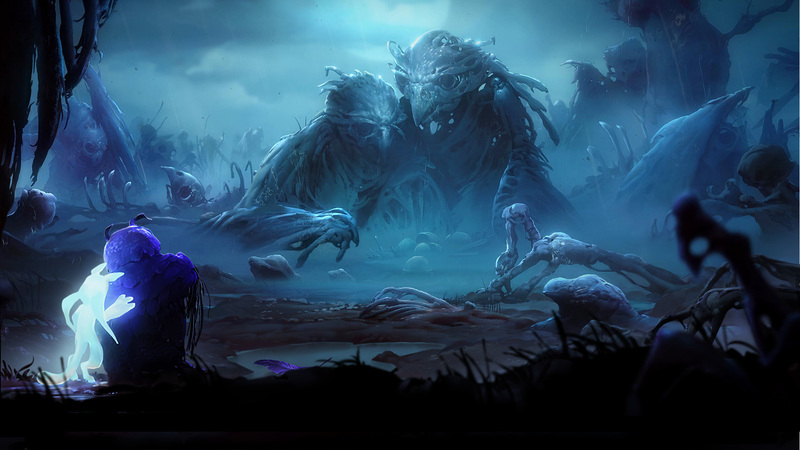 The presentation and the narrative is really solid, characters are likeable and the game does not have many lengths – it’s actually a rather short, concise experience. The musical score is something among the best in the gaming genre and worth a buy on its own. 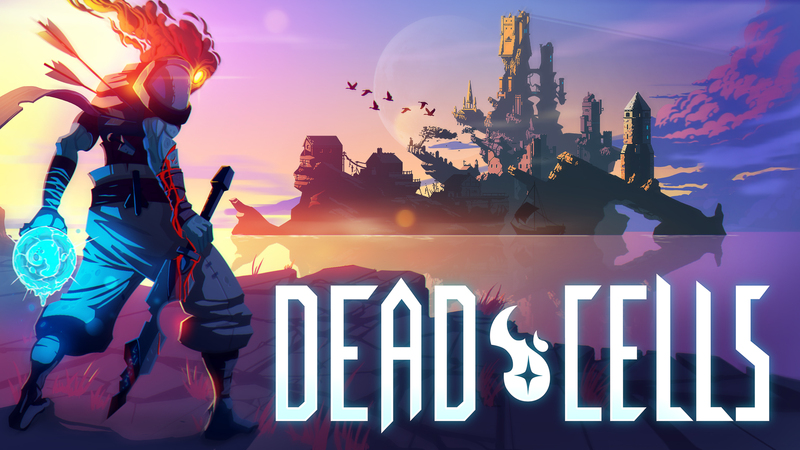 If you can ignore the kinda stale fighting system, lack of progression and low difficulty you can simply experience this game as a highly linear and not too hard adventure catered to beginners of the platformer genre. 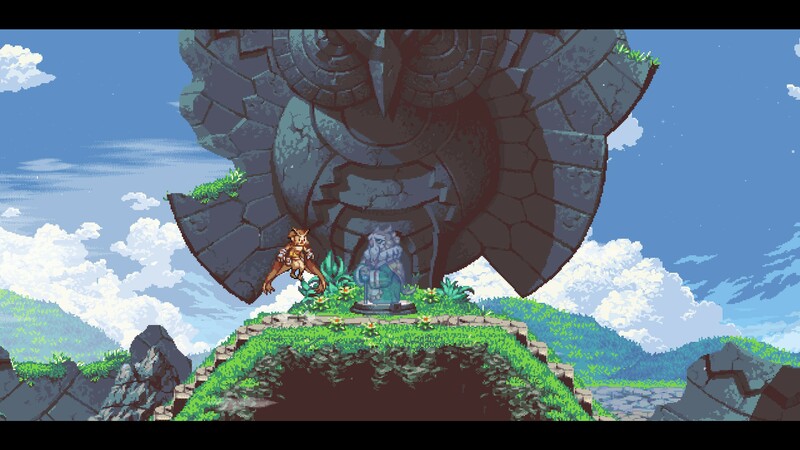 If you rather see it like an interactive narrative instead of an action-adventure you will enjoy Owlboy a lot. It’s not the masterpiece that 9 years of development could make one expect, but it also is far from being a bad game.